WAITSFIELD, Vermont -- Eight-year-old Aiden Heath has spent a little over four years collecting loose change with a goal in mind. 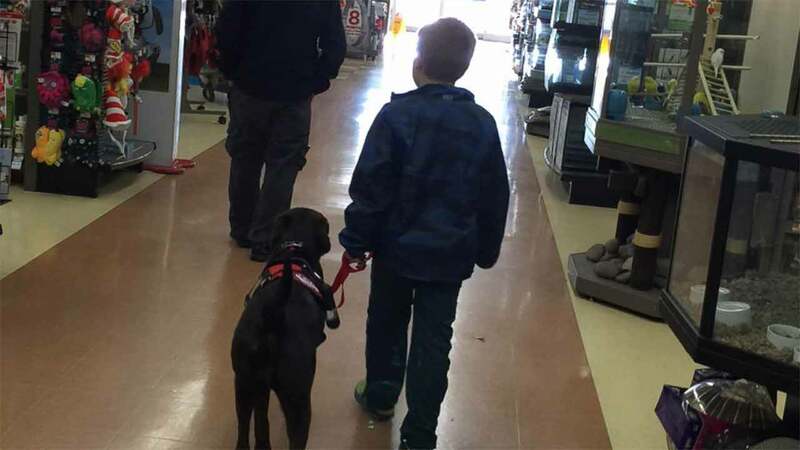 And that dedication paid off this week when he finally came face-to-snout with his very own service dog, Angel. "Aiden looked at me and said, 'This is a dream,'" his mother, Jenni Heath, told ABC News. Aiden, of Waitsfield, Vermont, was diagnosed with type 1 diabetes four years ago. Soon after he learned about canines trained to help monitor glucose levels in people. "They can sense it 20 minutes to 30 minutes before the blood meter actually tells you that you're low," Jenni explained. Service dogs are expensive - each costing $15,000. But not to be discouraged, Aiden's mom told her son to save, one penny at a time. In April, when Aiden was about $9,000 from his goal, news coverage of his story helped bring in donations from across the U.S., raising more than $20,000 almost overnight. 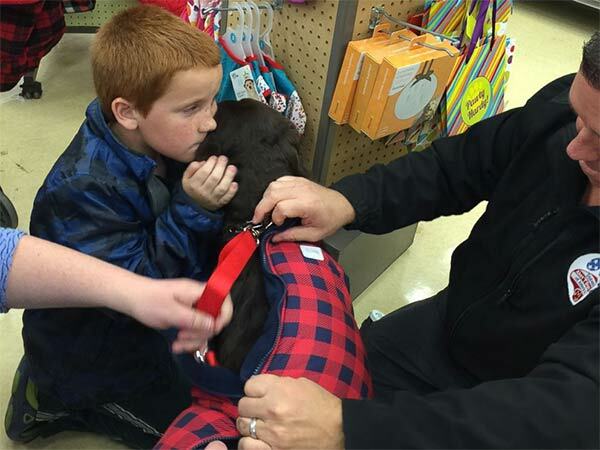 With the windfall, Aiden and his mom put a down payment on a dog in Nevada. Jenni Heath said Angel, a chocolate Labrador, had been trained from April until recently and had passed all her tests. She said she and Aiden had followed Angel's progress with videos and pictures. On Monday Angel arrived from Nevada to the Heaths' home. "We have been so amazed by the outpouring of support," Jenni Heath said. "He is feeling the love. ... There are no words."